Vanceburg Police Sgt. Joe Paul Gilbert is investigating the theft of a vehicle from Ideal Wheels Auto Sales when a man pretending to be a car dealer took it for a test drive and never returned it. 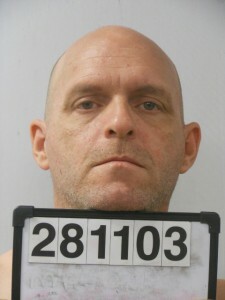 A man convicted in the death of a Tollesboro woman in a 2014 auto accident has requested shock probation. Magistrates voted in favor of purchasing two new Mack dump trucks and a new tractor truck during a special meeting last week where a bid opening was held. 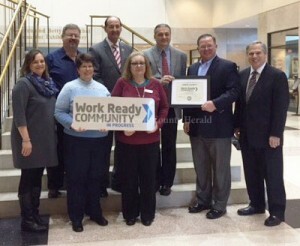 Lewis County has been certified as a Work Ready Community in Progress. Firefighters on the scene of an accident near St. Paul. 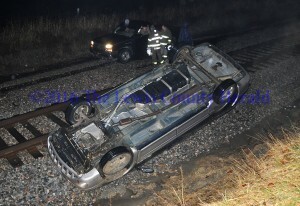 The auto was struck by an Amtrak train after an accident left the vehicle next to the tracks. Ernest Wesley “Wes” Ferrell, 70, of Vanceburg, formerly of Garrison, passed away Wednesday, February 17, 2016, at Hospice of Hope Care Center at Kenton Pointe in Maysville with his family by his side. 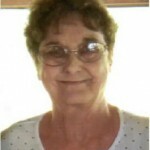 Leva “Darlene” Lewis Dickerson Reed, 75, of Lucasville, Ohio, passed away peacefully Thursday afternoon, February 18, 2016, surrounded by her family at Adena Regional Medical Center in Chillicothe, Ohio. The Republican Party of Kentucky has made a change to Kentucky Presidential politics this year. A Garrison home was destroyed by fire Wednesday night. 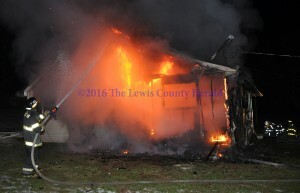 Firefighers battle a house fire in Garrison. 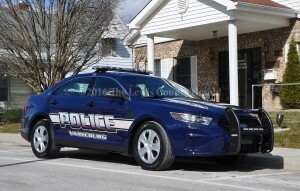 Firefighters from Garrison, Black Oak and Firebrick fire departments responded to the call about 7:00 p.m.
One of the new Ford Police Interceptor sedans delivered last week to the Vanceburg Police Department. If you’ve been through Vanceburg in the past week you may have noticed some new police cars.